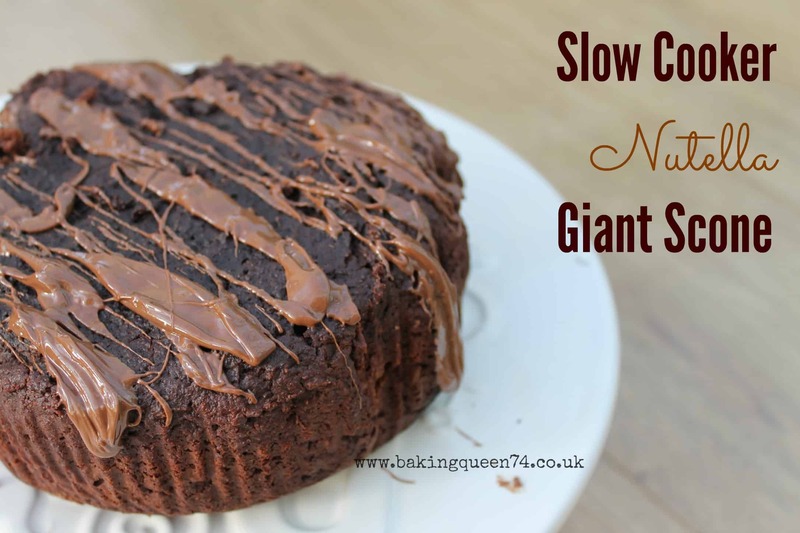 Slow Cooker Nutella Giant Scone! Chocolatey scone with Nutella spread both in the mixture and drizzled over the top. Baked in the slow cooker by me but no doubt works in the oven too. Fancy a bit? Don’t you just love Nutella? If you have a blender you can actually make your own Nutella at home and the big plus is you’ll know exactly what went into it. I’d love to try this one day and see how it tastes, but for now I just used a jar. A quick treat for a very cold Saturday afternoon, I decided to base my recipe on a large scone with added Nutella. The scone mixture itself is not that sweet, so you can go made with the toppings instead! It is delicious served with whipped cream and Nutella drizzled over the top. If you fancied it, you could add chocolate chips in with the mixture too. Of course, this may not be ideal if you have made some healthy resolutions this month! In that case, just save it for another day (or give it to someone else like I do). 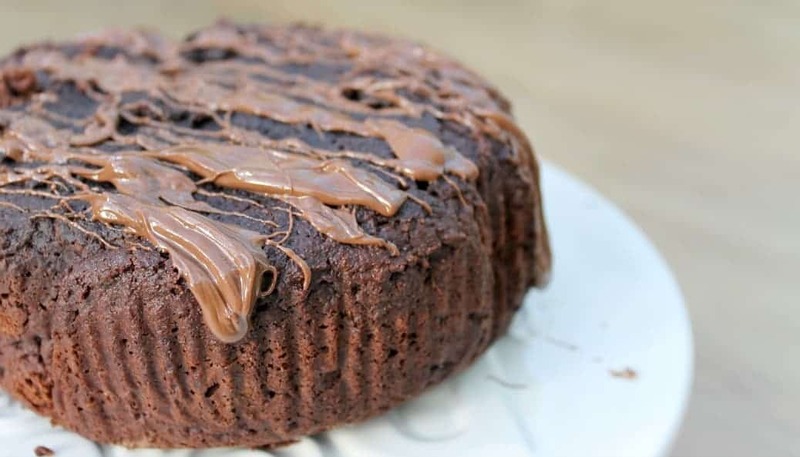 I love to bake sweet treats in my slow cooker, I have more than one slow cooker so I can make a main meal for the family in one then a dessert or cake in another. tastes great and makes it more fun! 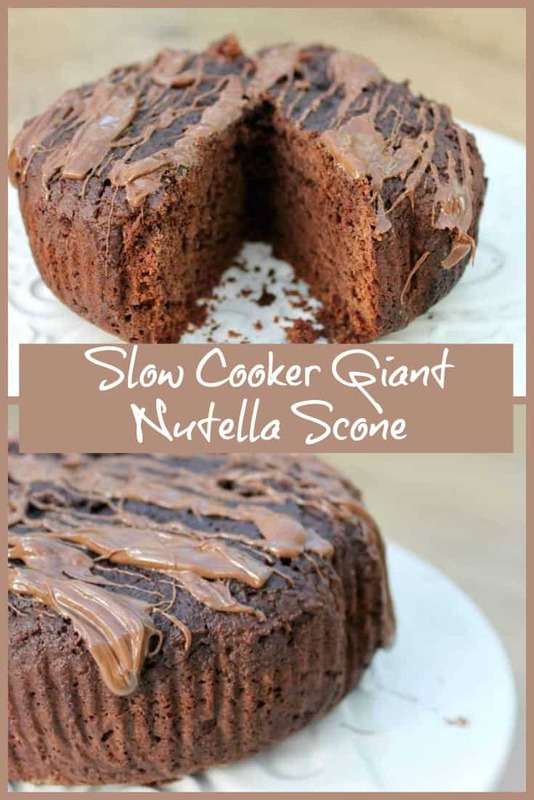 Pin my Slow Cooker Nutella Giant Scone for later! Place the flour, baking powder, cocoa powder and salt in a large bowl. Rub the butter into the dry ingredients. Place the Nutella into a small bowl and heat gently in the microwave until it is thinner and more runny. Stir the caster sugar into the main mixture, then add the milk and the Nutella and make a soft dough. Grease your slow cooker pot lightly and place a large cake case in it or line it with baking paper. Double the layers to prevent the scone burning. Spoon the mixture into the lined pot. Place a tea towel under the lid and put the lid back on, and cook on high for 1.5 hrs or until firm. 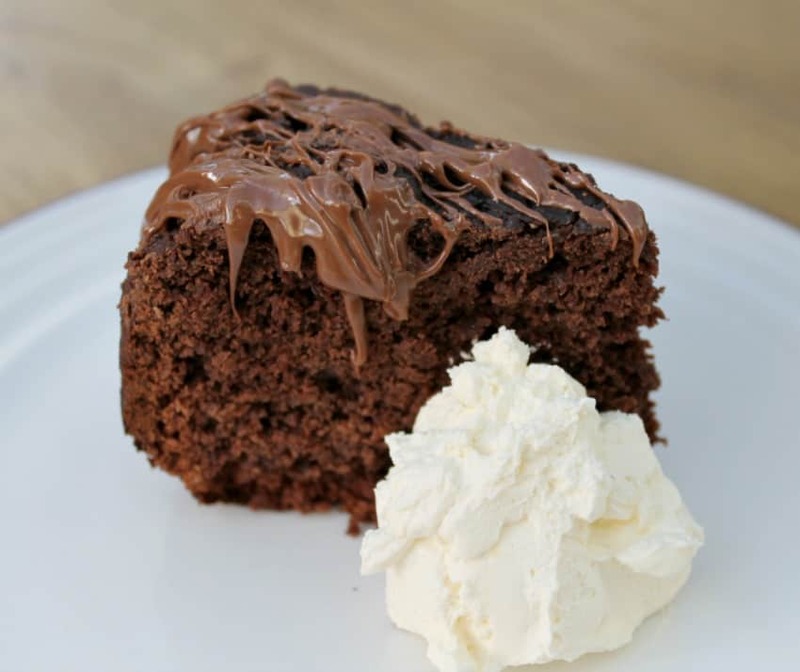 Allow to cool, drizzle with more warmed Nutella and serve with whipped cream. Eat on the day you make it. Note: I made this in a round 3.5 litre slow cooker. I’m sending this over to We Should Cocoa from Tin and Thyme, hosted by Lovely Appetite this month. Also linking up with Bake of the Week with Casa Costello and Cook Blog Share with Sneaky Veg. Hello! Well done for the lovely recipes! How do I convert them for my 5.7ltr slow cooker pls? Just bought it and cannot get the hang of it!!! Thanks! Hi! You could make this in a cake tin in a big slow cooker if you have a round one that fits. Hope that helps!! 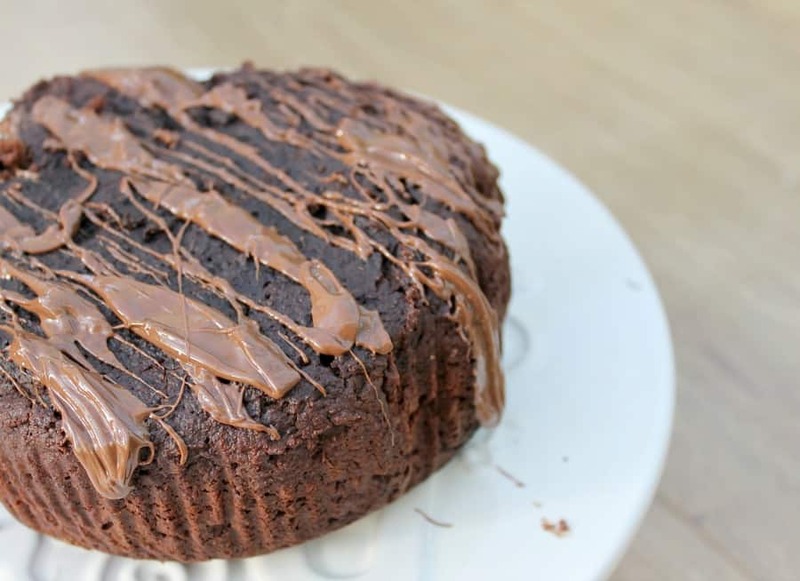 I never thought you could bake in a slow cooker, this looks amazing. I love the addition of nutella too one of my fav ingredients. Ooh my, your scone sounds wonderful Lucy and I reckon you’re right, a bit of whipped cream has just got to be done. One of these days I’m going to bake something in my slow cooker – you are an inspiration. Thanks for joining in with #WeShouldCocoa. Thanks Choclette! We Should Cocoa is a great challenge to join in with, thanks for organising it. You got me at Nutella! What a great idea to make a large scone & in the slow cooker too, delicious. Thanks for sharing Lucy. I love Nutella and you can never go wrong with them. I have never thought of making myself as too much trouble. 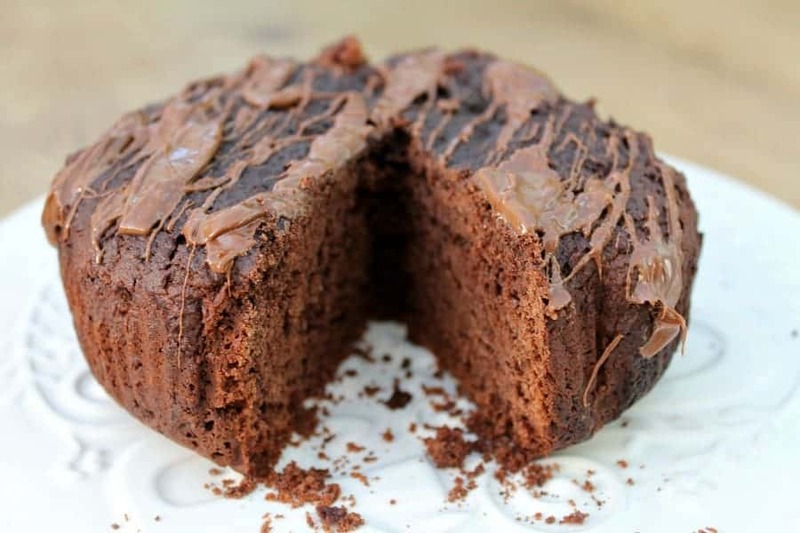 Love your slow cooker cake. It look brilliant! Thanks Mandy! I’m glad I remembered to link up this week, has been tricky getting back into it all after Christmas!! Oh wow, I did not know I could use my slow cooker to make scones! Especially ones that look as delicious as this!! I’ll take the whole thing, yummy! I LOVE LOVE LOVE the idea of a large scone! And I agree, nutella makes everything else out of this world! That looks amazing. Why have I never heard of a giant scone before?! Yum. Is there anything nutella doesn’t improve? No, the answer is no! I really need to try some baking in my slow cooker. This looks so comforting. You must Kavey, it is such fun!